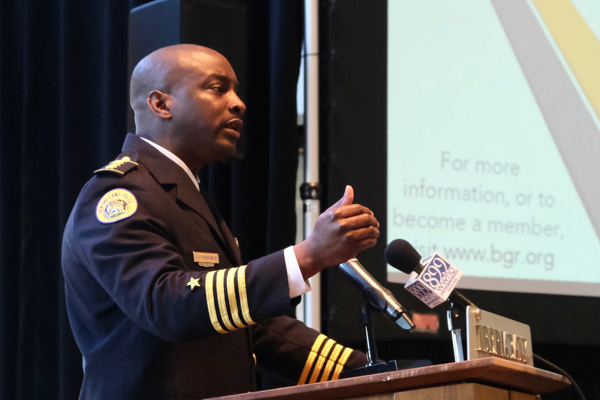 NEW ORLEANS — New Orleans police Superintendent Shaun Ferguson is laying out his plans for the police department’s future after taking over the helm earlier this year. Ferguson said his main objective is to get more officers on the street. The increase in officers is just one of the several initiatives for the new police chief, who laid out his goals during a speech at a Bureau of Governmental Research briefing. Check out the video to hear more from Ferguson.